Through Gateway of Digital Marketing, Let your contents explode, tell the story in an unusual way. 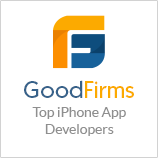 Great iOS Apps with new-age Swift and Objective C coding team. Phone, Tablet or Smartwatch? Create an all-round app of your dreams. Save costs with a universal app for all platforms with Phonegap tech. Don’t let your apps be brains without beauty! Meet our expert design team. Magento, Jhoomla or simple PHP. Your online shop, our online expertise. Secure. Reliable. Resilient. Best-in-class .NET software development. Scalable and Secure Database migration & management solutions. Old school web apps with modern technology and innovation. Accurate requirement gathering process with a 24x7 business team and professional analysts. Precise documentation and adaptive brainstorming to put best resources on your project. Best in industry development practices with latest technologies and most pristine designs. Great after product support. You will be happy to retain us as your trusted development partners.